M100 galaxy and friends. The region around the constellation Virgo is rich with galaxies, so I decided to (blindly) shoot in the general area and see what I could come up with. There are several galaxies in the frame. Shot with a Nikon D750 and Nikkor 300mm f/2.8 AI-S ED lens at f/2.8 and ISO 1600. 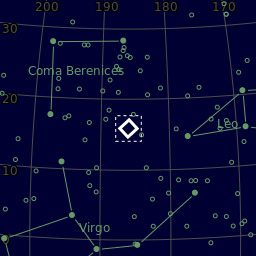 Tracked using the AstroTrac TT320X-AG. 71 x 60" frames were captured. Processed using RawTherapee, Deep Sky Stacker, RNC-Color-Stretch, and Photoshop.